I recently blogged about Milwaukie Brewers outfielder Ryan Braun, and his 65-game suspension from professional baseball. I was unimpressed by Braun’s flimsy written statement, which fell well short of contrition. The most disingenuous and manipulative part of the statement was the first line: “As I have acknowledged in the past, I am not perfect.” Braun had not, in fact, ever made such a public acknowledgement, but what galled me more was the implication that if fans, teammates or the media were disillusioned by his behavior, they had no one to blame but themselves. After all, he’d warned them that he was flawed, hadn’t he? Well, now that that’s cleared up… we can all move on. Right? Please? Since the Weiner scandal broke, the former congressman has been quizzed about how many more digital paramours could come forward. I’d argue that the tally ceased to matter once it was clear that he continued sexting AFTER his resignation from Congress, AFTER he claims to have entered therapy and WITHIN ONE WEEK of posing for People magazine with his wife and son, hinting about a mayoral run. The guy is pathologically dishonest. 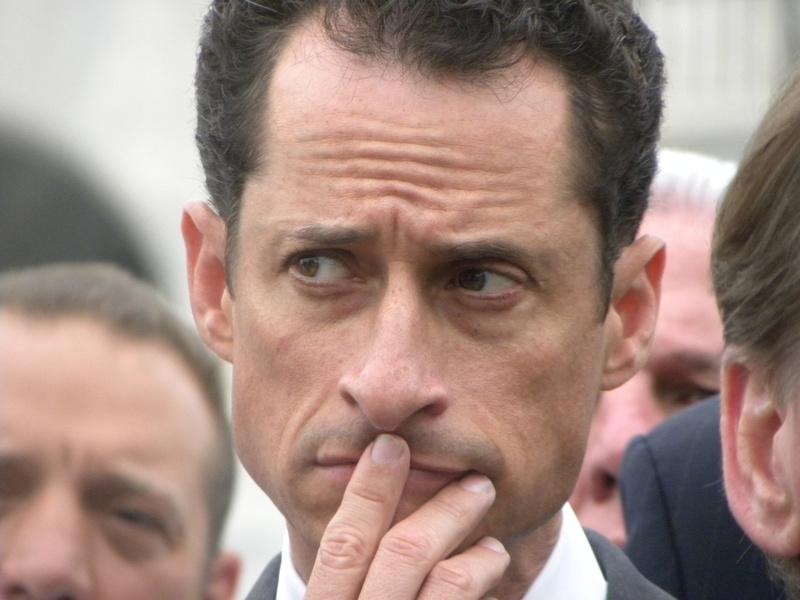 To me, the big story is… Weiner can’t even provide an ESTIMATE. HE SAYS HE’S NOT SURE. How is it possible not to know how many people you’ve been sexting with? He’s either completely out of control, or so predisposed to lying that he still can’t bring himself to come completely clean. Maybe he’s so deluded about his intellect and so ambitious to be mayor, he still thinks there is something to be gained by hedging. I have been wondering how many men, when caught dead to rights in an indiscretion, get creative about the duration? Once, a married male friend confided in me – out of the blue – that he’d been unfaithful to his wife years before. He claimed the affair lasted just three weeks. Three weeks, I wondered? How many men have affairs that last less than one month? I later learned from mutual friends that the affair had in fact lasted months longer; he’d looked straight into my eyes, and lied about it. I still scratch my head about this. Why did he bother confessing — since I had never suspected and it was none of my business anyway – only to lowball how long his affair had lasted? If his goal had been to get it off his chest, how much guilt can a half-truth alleviate? Listen, there is an entire Wikipedia page devoted to Anthony Weiner’s sexting scandal, and that fact alone should preclude his candidacy for higher office, don’t you think? No one really cares how many more of his BFFs are out there – even if he finally told the truth, we’re way past the point of believing. If he is truly devoted to New Yorkers, the greatest gift he can give them is to unplug the Wi-Fi, step away from Instagram and maybe take an extended vacation to Pennsylvania Amish country. I’ll even pitch in for bus fare. Nice piece, Kim. I so enjoy reading your writing. Thanks Brad. Always nice to hear that from an English teacher!